Music lessons so cool you’ll be jealous of your own kid! Everyone has an inner rock star! We teach you how to embrace it. 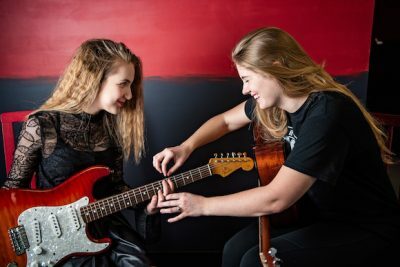 Traditional music lessons often seem stuffy and disconnected from actually playing and enjoying music. 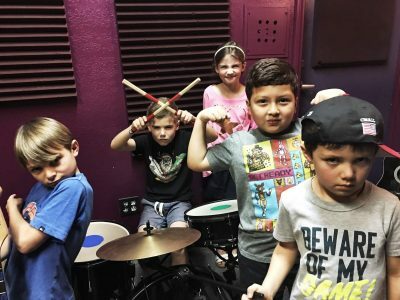 In our rock band and lesson programs performance is the goal, and fun and interaction are the norm. The private lessons support that goal, so students fall in love with playing and learning music. The key to success in music lessons is finding enjoyment playing your instrument. 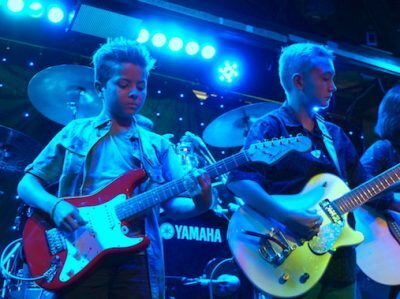 Our private lessons are for all ages and skill levels on guitar, drums, piano, bass, and voice. Lessons cover all the important content, and our instructors teach you how to fall in love with playing music! 1. Complete our GET STARTED form. 2. We'll contact you to set you up with the perfect instructor and lesson program. 3. Start learning, playing, and performing music!